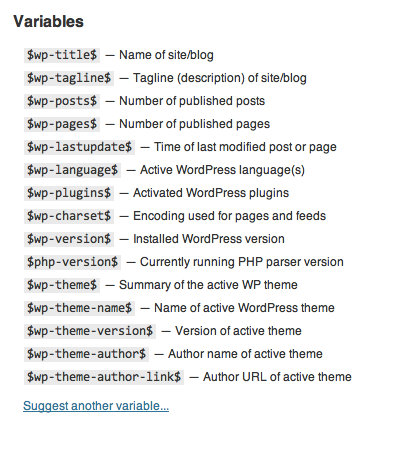 April 5th in Wordpress Plugins by Wordpress Jedi . We have all heard about files such as robots.txt. While it is nice to have guidelines for webbots on your website, you should also take time to credit the humans who have contributed to your site. That’s why humans.txt matters. You don’t necessarily have to implement it to dominate the search engines or make a ton more money. It is just a good practice to exercise on websites. 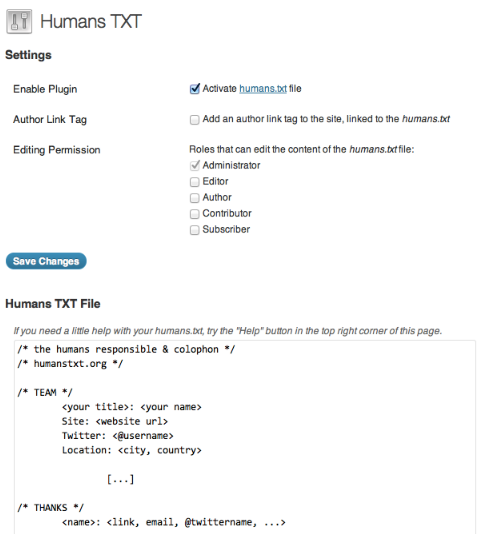 Thanks to Humans TXT, you will have an easier time playing with your humans.txt file on your website. Humans TXT simplifies the process of making changes to your Humans.txt file. All you have to do is activate the plugin to get started. If you choose to do so, this plugin adds your author link tag to the header of your website. It has a bunch of useful variables you can use to provide the world with more useful information on the authors on your website. Keep in mind that Humans TXT does not create a physical file on your server (serves it dynamically). You need to remove your physical file to make sure this plugin works properly. You don’t have to worry about the rel=’author’ link as this plugin can take care of that for you. This is a pretty cool plugin regardless of how much you actually know about Humans.txt.